Imagine enjoying a coffee where the flavours are 3x more concentrated than your average cup and the 8-hour process adds to the allure of indulging in such a cold brew. Meet the Japanese Cold Brew, created for you to enjoy the best cold coffee. Every second, ice evenly drips into the coffee through a press paper filter. The coffee then moves through the device 3x over to allow the drop to homogenize with all of the perfumes and flavours it has to offer. After 8 hours, every single one of the coffee properties are present. The Japanese cold brew is a favourite among connoisseurs as it allows the pure flavours of the coffee to shine through. A Japanese cold brew was coined by Peter Giuliano, director of the Speciality Coffee Association of America’s Symposium, after his visit to Japan in 1994 to see how flavourful a cold coffee can be. He noticed how simple a process it was, and how the flavours were completely different than what people were serving on this side of the world, and so he took the idea west and now coffee shops around the world are serving Japanese cold brews and the people are loving it. It’s an 8-hour cold extraction process that works with gravity to showcase the true flavours of coffee. 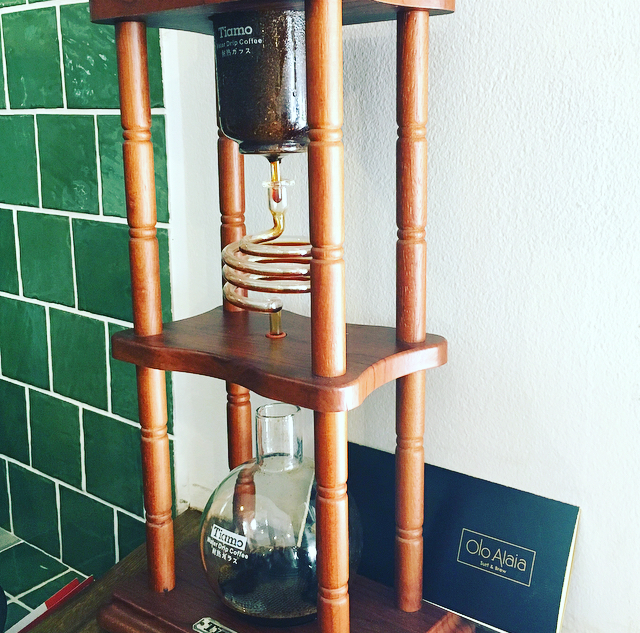 In using the classic cold-drip method to create a cold brew, the chemical reaction between cold and hot, precise measurements and good coffee beans, shines a new light on this method. The cold brew coffee that appears is a super rich, balanced flavour that’s less acidic and bitter than your average cup of iced coffee. 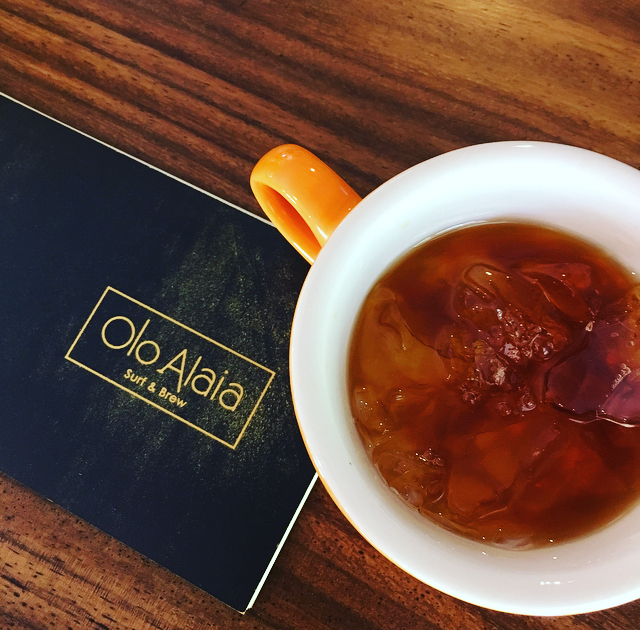 The flavours outshine anything you’ve ever tasted and knowing that the process is a waiting game adds to the allure of enjoying a Japanese cold brew while sitting at a wooden table at Olo Alaia, in the heart of Playa Guiones. So the next time you visit our cafe, ask Santiago, our favourite barista, for a Japanese cold brew, sit back, relax and enjoy your new favourite brew.